The award-winning RoughRider is designed to handle rugged terrain with ease. It has been proven in over 40 countries by thousands of riders who live in the worst of conditions and need the best of chairs. 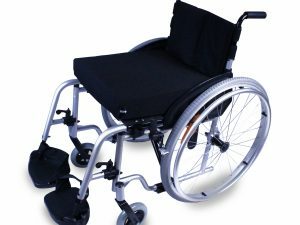 Long Wheelbase Provides outstanding stability and safety from tipping – the number one cause of injury to wheelchair riders. 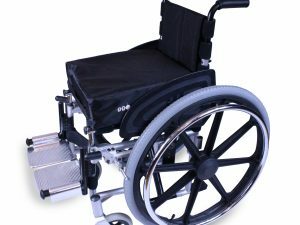 WideFlex Casters Whirlwind’s signature Zimbabwe wheels float over soft surfaces like grass and mud and absorb shocks for a smooth ride. Tight Turning Radius useable in spaces as tight as less stable chairs. High Traction Rear Bike Tires Perfect for off-road adventures and affordable to replace. Super Duty Tough Double the industry standard durability performance tests. Multi Position Rear Axle Allows for center of gravity adjustment for optimal balance. Easy Transport Simple X-Brace folding design. Bucket Seat Seat dump designed to keep the rider safe if the chair comes to sudden stops. Easily Available Parts Tires, tubes, hardware and bearings are easy to find locally. 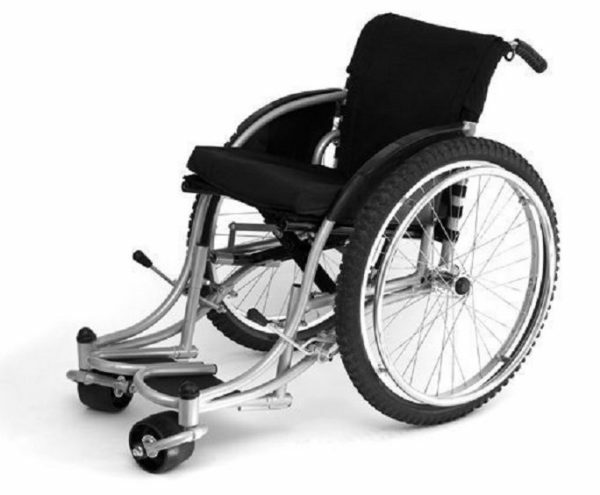 Sporty Wheel Camber 3 degrees of wheel camber gives ergonomic push rim placement and lateral stability. 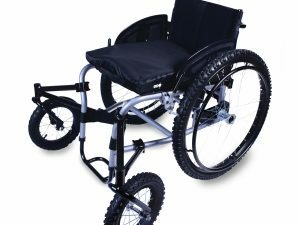 All net proceeds from the sales of the RoughRider will be used to help provide improved designs and more wheelchairs for people in developing countries. This product will be available in Canada from March 1, 2014. Please contact us at [email protected] to share your experience with our products in the field. Please note: This product design is the property of Diversability Development Organization. No part of this design, including all original concepts and ideas contained herein, may be reproduced or transmitted in any form, or by any means, electronic or mechanical, for any purpose without the express written permission of Diversability Development Organization. * Seat Height measurement is based on 15.5 Seat Width. Seat Height varies +/- 1.2” with other Seat Widths. Variance in seat height affects effective Back Height, and effective Back Angle Bend. ** Track Length is the distance between where the front and rear wheels contact the ground. This distance varies with axle position. *** Overall Length is the distance from the front to the back of the chair. This distance varies with axle position. ## Upper Back Support Angle describes the angle of the back above the Lumbar area. At 8.75” above the seat the back tilt increases from 8 degrees to desired tilt.